On the weekend of October 14-15, 2017, Big Soul Project performed two concerts with Coco Love Alcorn, a wonderful singer song-writer from Owen Sound. On Saturday October 14, BSP performed a fundraiser concert organized by Grammas to Ambuyas to help raise money for the Stephen Lewis Foundation’s Grandmothers to Grandmothers campaign to help millions of children orphaned by the AIDS crisis. Directed by BSP musical Director Roxanne Goodman with special guest artist Coco Love Alcorn, the concert raised over $9000. The following day, Sunday October 15, members of BSP sang several songs with Coco Love Alcorn at her concert at St. Brigid’s Centre for the Performing Arts, to promote her new album “Wonderland”. Coco says that the songs on that album are an “invitation to connect”. BSP was thrilled to connect with Coco and to be part of the experience. 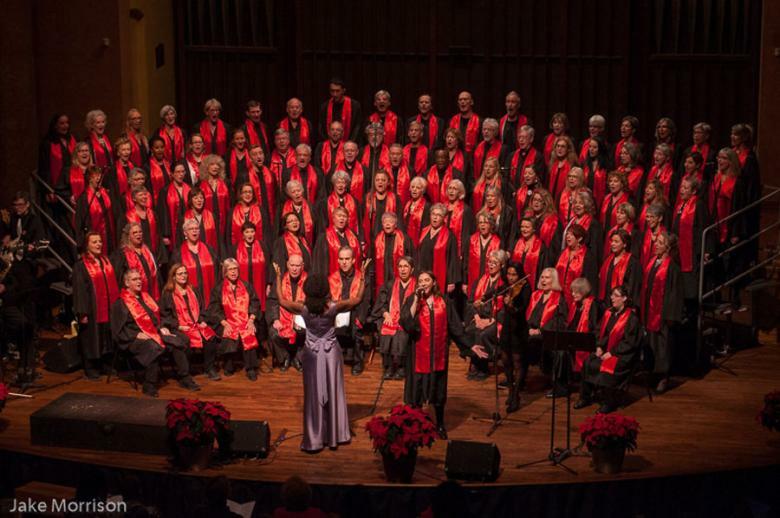 BSP is looking forward to singing with Coco again at our upcoming Christmas concert on December 16, 2017, at Dominion-Chalmers United Church. Tickets are available online and are going fast.